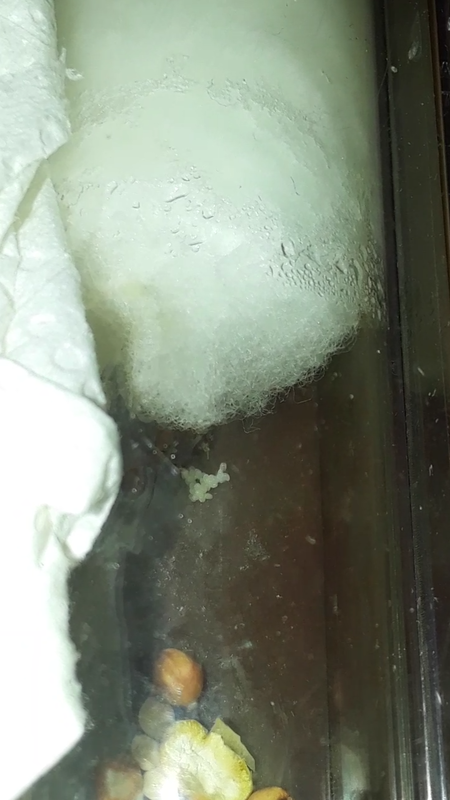 How often do you feed a "semi claustral" queen? 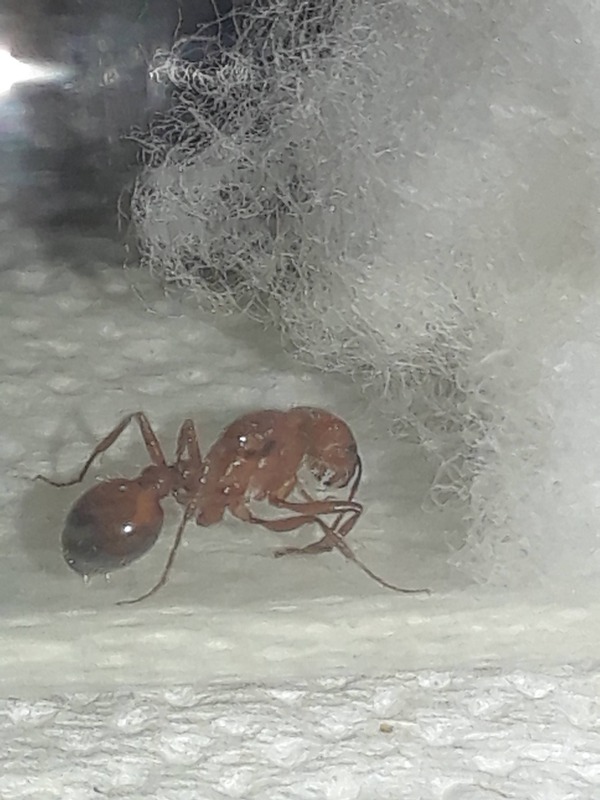 1.What types of food should i feed my most prized ant queen?????? 2. 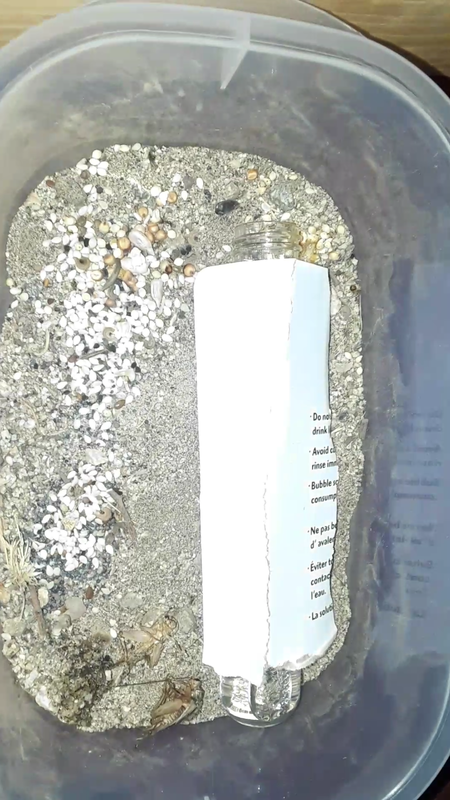 How often should i feed my pogonomyrmex queen??? look at those colors on her gaster!!! SOOOO COOOL!!!!! I know I shouldn't question a good thing... but.... Why do you guys think she was out so early???? I thought they fly late July.... Maybe, it's because I live in the desert where it almost never rains. It was a bit cloudy the day I found her... Can a rare cloudy day start a nuptial flight??? If I took a queen coming out of hibernation, what are her chances of survival??? I have so many more questions but ill end it here lol. 1.The honey I added is all gone. So, I added a bit more (honeycomb). 2.I found they like seeds. 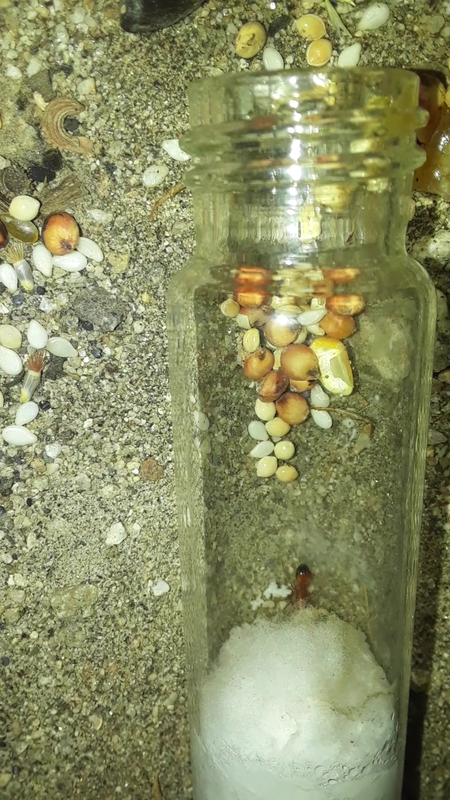 So, I got some mixed bird seeds and added some to her tube. 3. I pre-crushed a small cricket from pet-co and and put that in there too. 4. 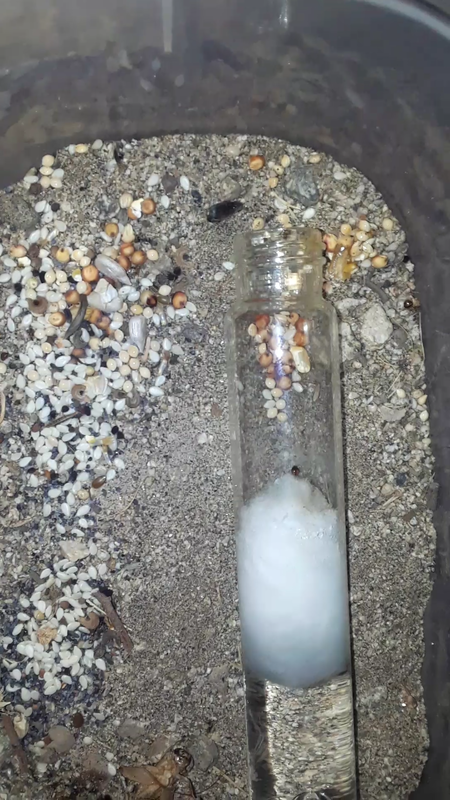 I put all food VERY close to the end of the test tube (so its easy to clean). Ill keep adding these updates (every so often) for people who are trying to raise a pogo queen for the first time. That way you can see my successes and/or failures. Ill put another update 4/12/18 to see how much of the food was used. OMG! She was very busy this week!! AC is making a NEW product for founding "semi claustral" queens. I was told it could be available sometime later in the year. Brood- Surprisingly large pile of eggs. This is so cool! When I went to check on her today she was feeding on some seeds. As soon as she was exposed to light she ran towards a very impressive pile of eggs. She picked (about half) up and move them to a darker part of the test tube (under the cotton)... I did not want to disrupt her for too long. So, I just took a quick picture for you guys. I wish I got the picture before she hid the eggs. I can't believe she did all that in a little over a week. Nice! I enjoy the updates. The move was a success!! The move was VERY easy! Here is a my set up. What do you guys think? I cannot remove the cover again for a while. I'll check on her again 4/23/2018 to take a quick picture and leave an update. I assume you plan on leaving the test tube in the area. They will need housing of some sort of you don't. Looks cool to me though. I'm hoping the "test tube" will act as a suitable founding chamber. 1. A suitable foraging area. also have you considered putting this in the journal section of the forums? Your right, It's better to be safe than sorry. I'll be adding a barrier today. Yes,I will be putting this in the journal section of the forums from now on.